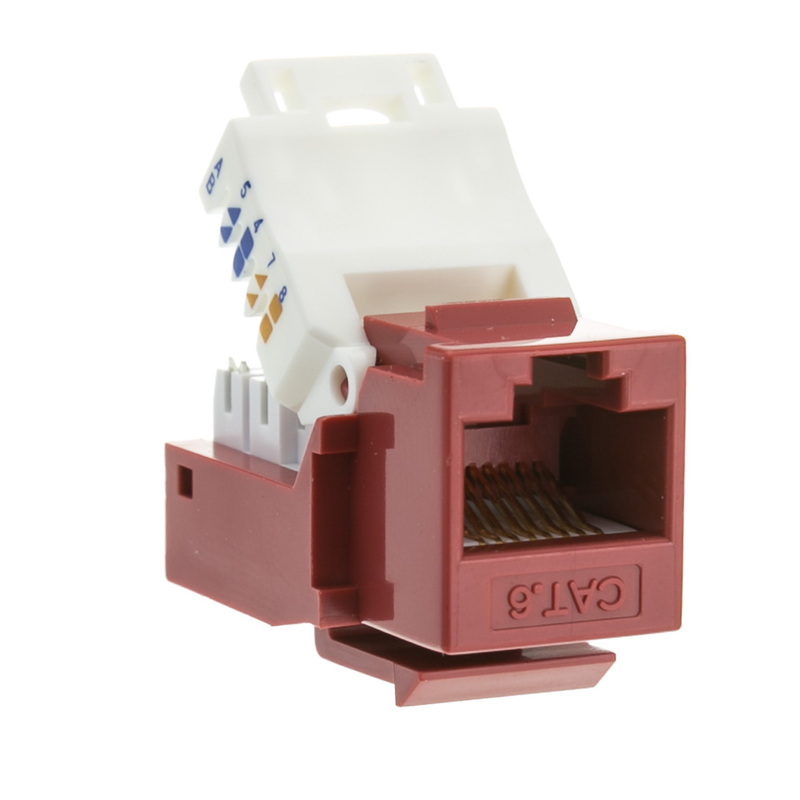 This red Cat6 toolless, RJ45 female keystone jack helps make your network or phone system installation a breeze - just link up your wires and compress the plastic cover to secure any connection. 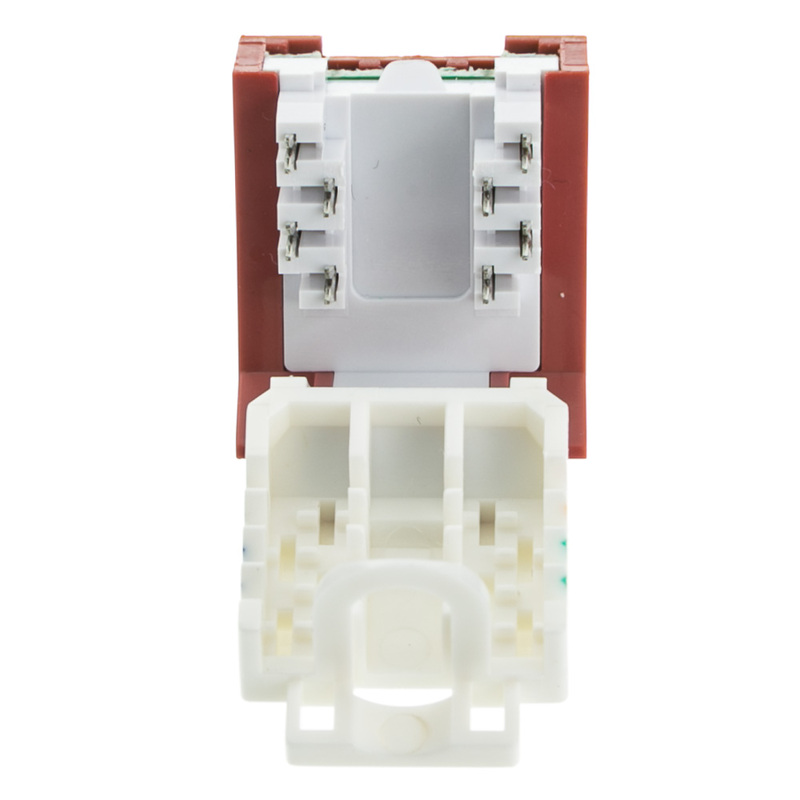 This keystone jack is compatible with our patch panels, mount boxes and is also compatible with gigabit speeds and ATM products. 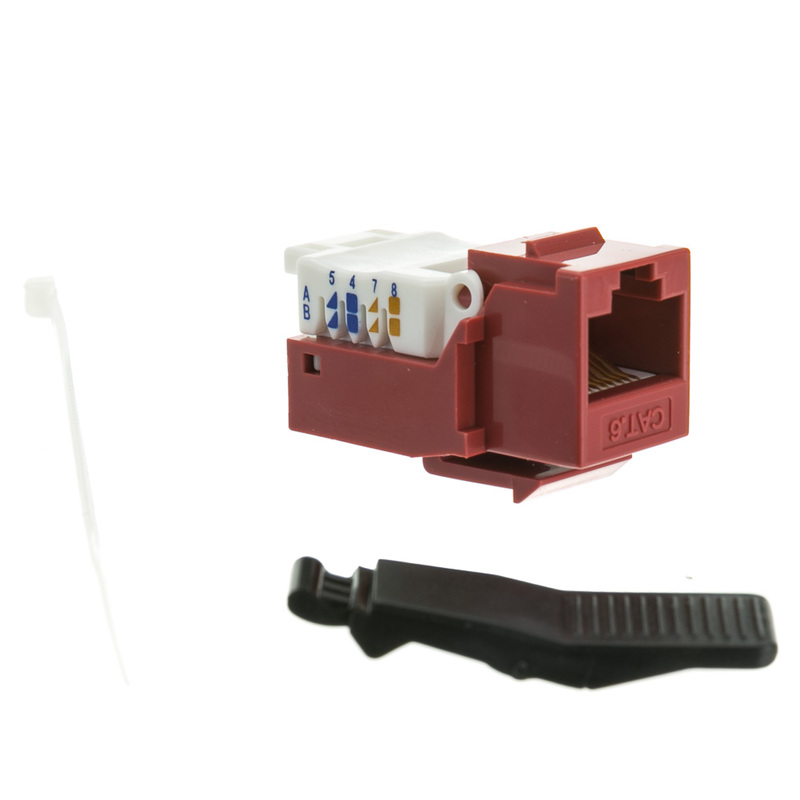 The RJ45 jack is gold plated to prevent corrosion and to provide years of quality performance. 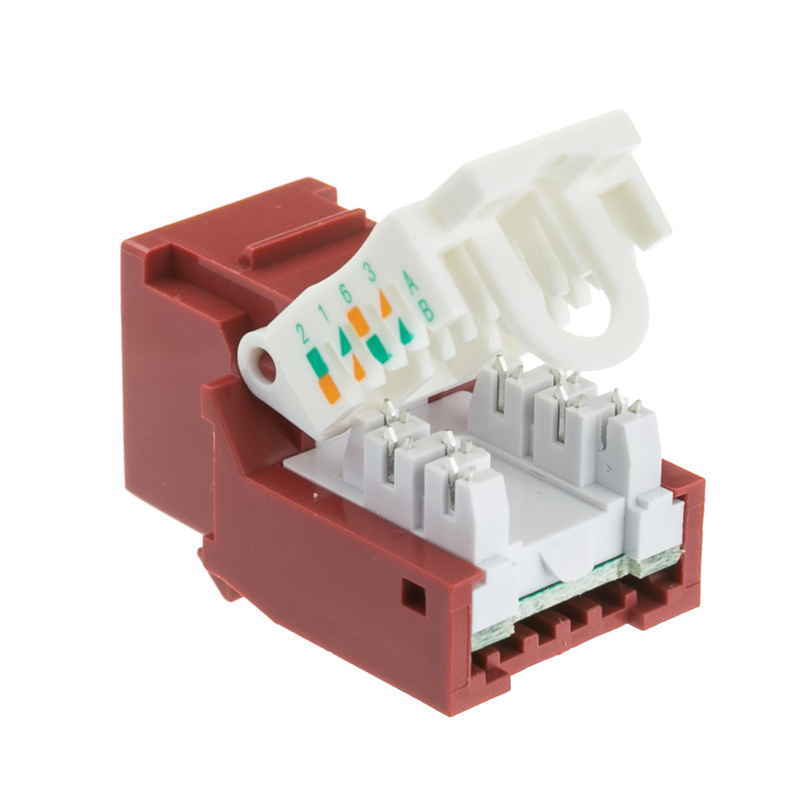 You can be confident in the performance of this product - it is in compliance with the ANS/TIA/EIA 568 B.2-1 standard and comes with a lifetime warranty and online support from CableWholesale.